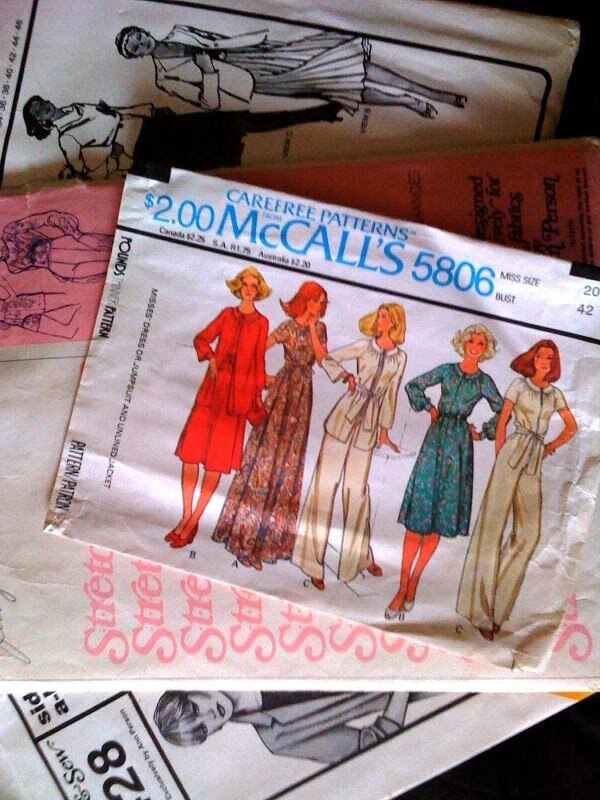 Scored a bunch of old sewing patterns at an estate sale the other day... Here's what we're gonna do with em'. Cute huh? Nothin like dreamin' bout spring a little early! Here's how to make them according to Country Living Magazine. Step 1: For each flower, cut six 7-inch squares from the pattern. 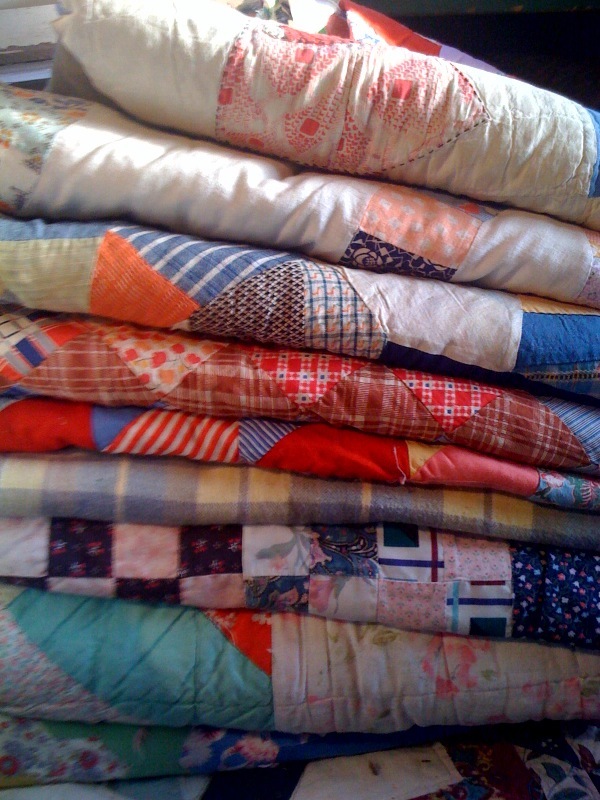 Stack and fold them accordion-style six times, forming a one-by seven-inch rectangle. Snip off the corners of the rectangle with scissors. 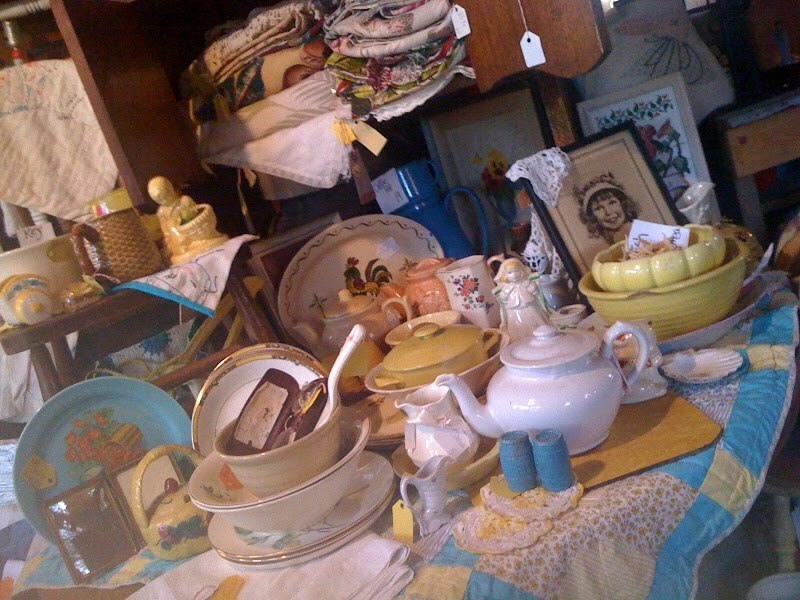 Remember our Portland JuNk SaLVaTiOn show is this Saturday...where ya'll will find a whole lotta vintage bliss and harmony with a few laughs sprinkled in!!!! We'll see you there!!! Here is little bit of INSPIRATION! 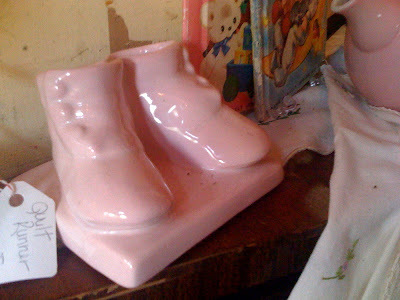 Just a hint of what you might see at "Junk Salvation". Yes, LOTS of sparkles will be seen! 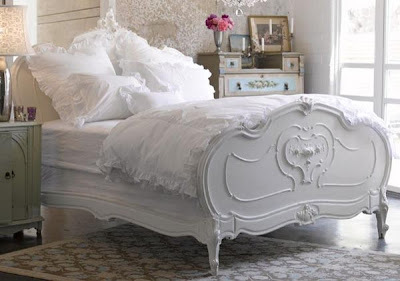 Doesn't this bed look inviting?! We might have a little something like this! Plus, a whole lot of RUST, Chippiness, SHABBY GOODNESS! Make it a day out with all the GIRLS! She's the sweetest thing and she's had quite a battle with breast cancer. 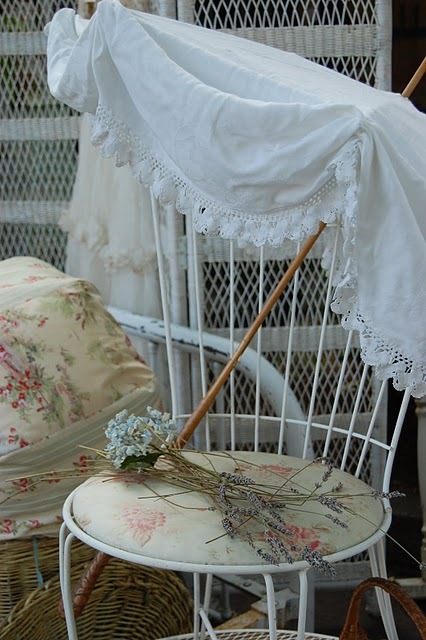 This weekend is a Special Benefit Fundraiser at Sandy's Antique Geranium Cottage. Many of our friends are supporting Sandy and her family at this special sale. They've been over at the cottage preparing, pricing and staging all of the items Sandy has lovingly gathered to sell. 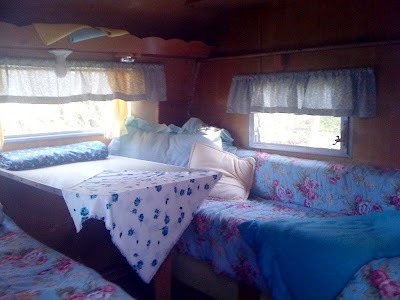 She also has a couple of cute vintage trailers for sale. Below is a pic of a darling 13 ft. 1961 Shasta camp trailer. An original "canned ham" white with a blue stripe. It sleeps 2-4 and is in average condition. A trailer this size is easy to tow with a car or small truck. 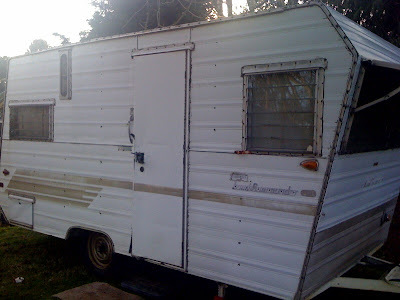 It a prime FUN mini project...here's your chance to join the trailer craze. Next up is her 1966 Aristocrat Land Commander. It's between 15 to 16 feet long. Sleeps 4-6 and needs TLC. It does have some soft areas but ya'll know that can be fixed!! I took a few pics inside so you could get a little sneaky peaky before the doors open. Sandy always has a large selection of vintage linens. And she's got stacks and stacks of quilts to dig thru. You won't want to miss this special fundraiser sale cuz she's got the cottage filled to the rafters with treasures. And get this....everything is 30% off!! Yeah you read that right, 30% off! RUN don't WALK to this event Friday Jan 28th 9 til 3 and Saturday Jan 29th 9 til 3. Here's the address 2426 Tacoma Rd Puyallup, WA 98371. 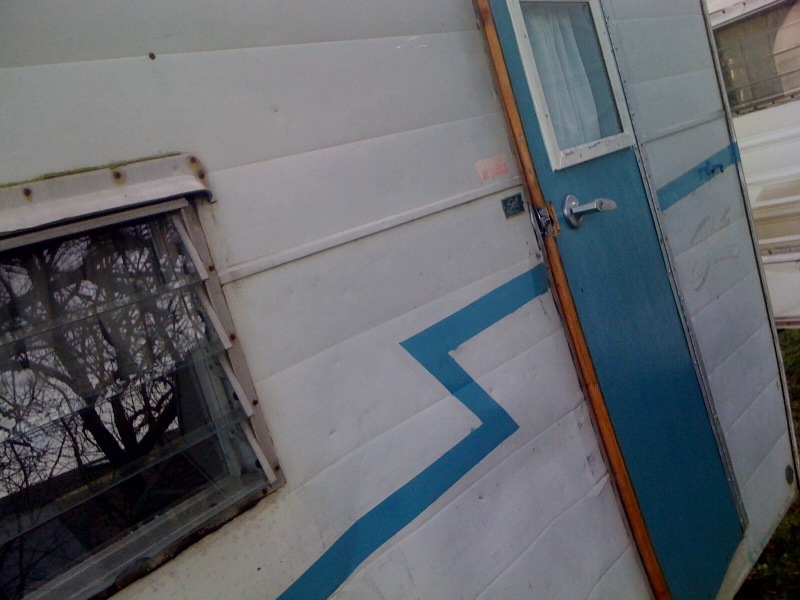 If you have trouble findin' the place just call 253-203-4800. Please help us help them as they battle the expenses of breast cancer! The other night my soon to be granddaughter and I were searching through the garage to find my Barbies and my Barbie Dream House. She was curious to see the house because it was made of cardboard (circa 1962). It was easy to locate the Dream House but the Barbies hadn't been seen for awhile. 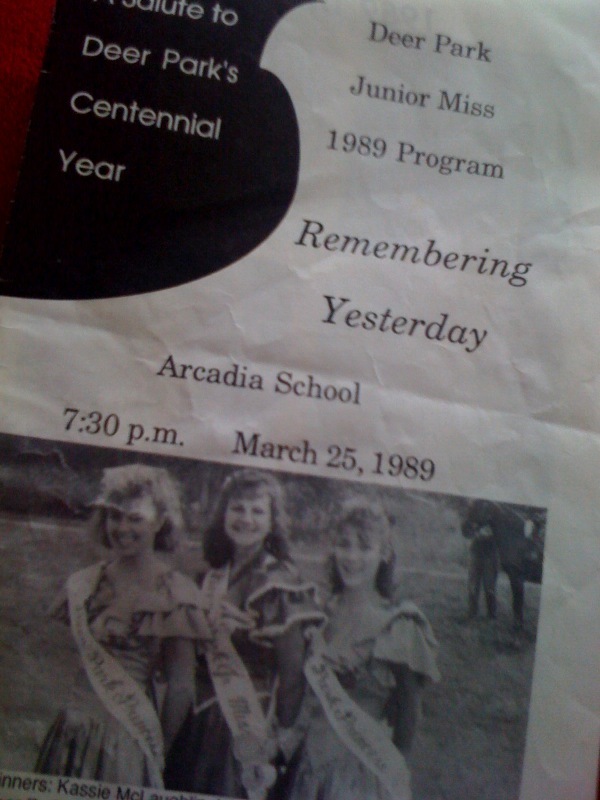 As I was digging through unlabeled boxes I came across my sash and tiara from 1978. I had been saving it for all these years for a daughter that I never had, ya'll know I have three sons. 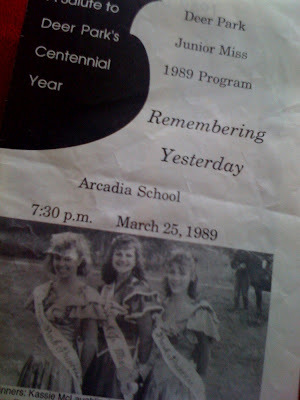 A girl just didn't happen for me...and my boys were more interested in football than sashes and crowns. As I was pulling it out I thought to myself, this is the stuff I would die to find on my treasure hunts! OMG!!! I'm finding it in my own garage! Does that mean I am vintage? My dear junksisters I'm afraid to tell you...it does! Notice in the title of this post that I used the word I instead of We cuz I can't say that Dixie is vintage just yet but it will happen to her someday too. In that same pile of memories I also found this program. 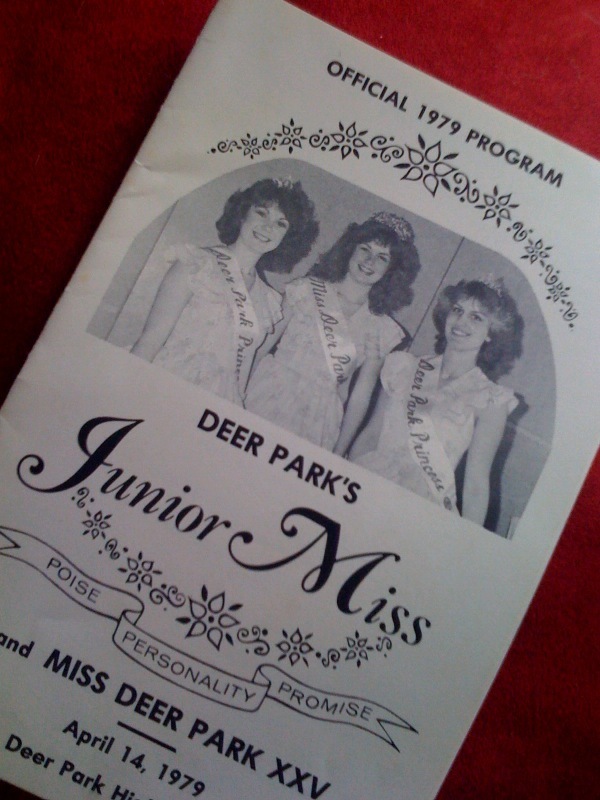 It's the year Dixie tried out for Miss DP. 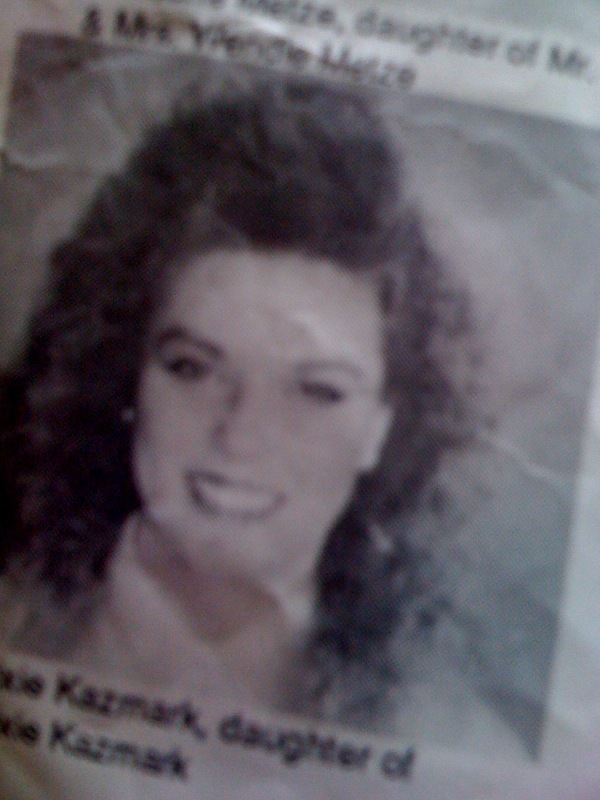 When I opened the program look what I found, Dixie! Don't cha just love the hair? 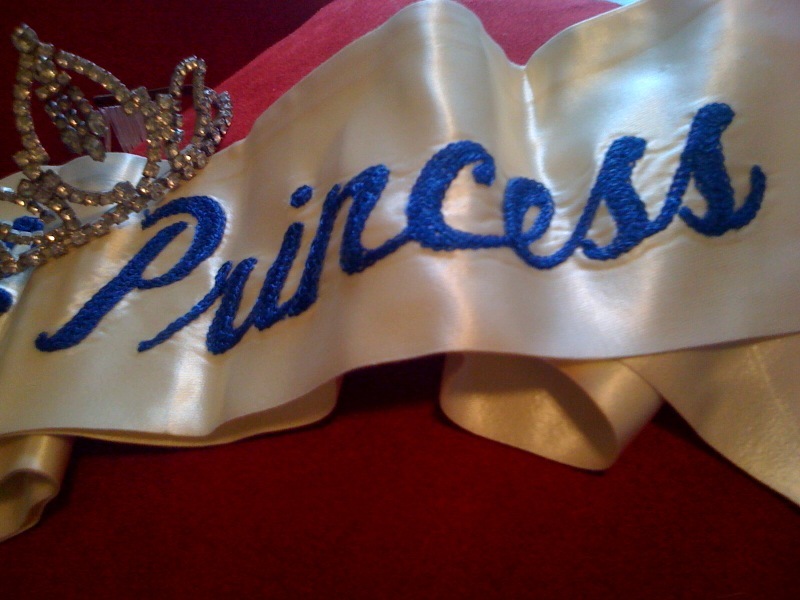 Dixie also won the title of princess and she too has a sash and tiara to share with her two beautiful daughters. Just wait til they see this pic...I wonder what they'll say about the hair?!! These two gals are great friends. Lisa on the left and Isabel on the right, they are self proclaimed "partners in crime." We can just imagine them hunting and gathering together... laughing, joking and whispering all along. We dub them "Super Junkers", you know the gals that find the good stuff in the bottom of the pile. They are the ones that go home with the treasure you wanted and forever it will now be claimed "the one that got away." If you run into them, watch closely, you can learn somethin' from them! Here is Isabel's booth at The Farm Chicks Show. Lovely, huh? 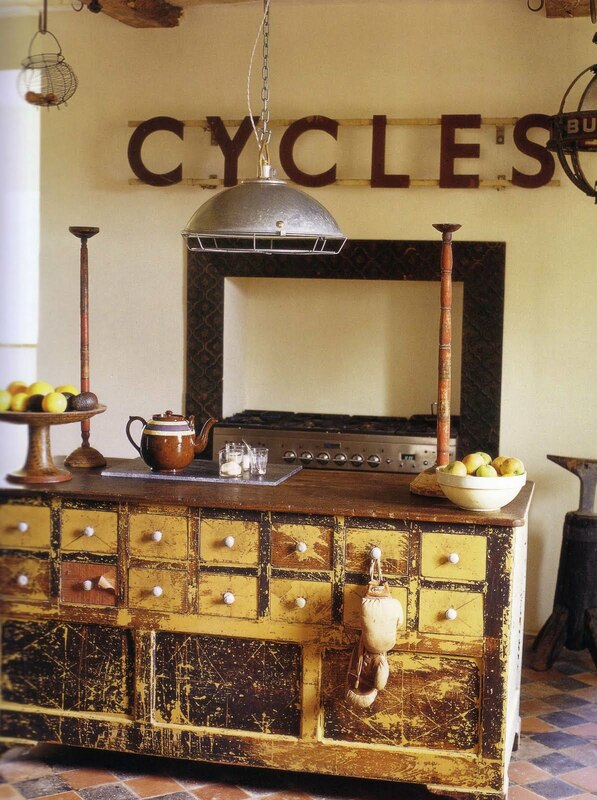 Lookie here...Rustic meets chic...and it works. 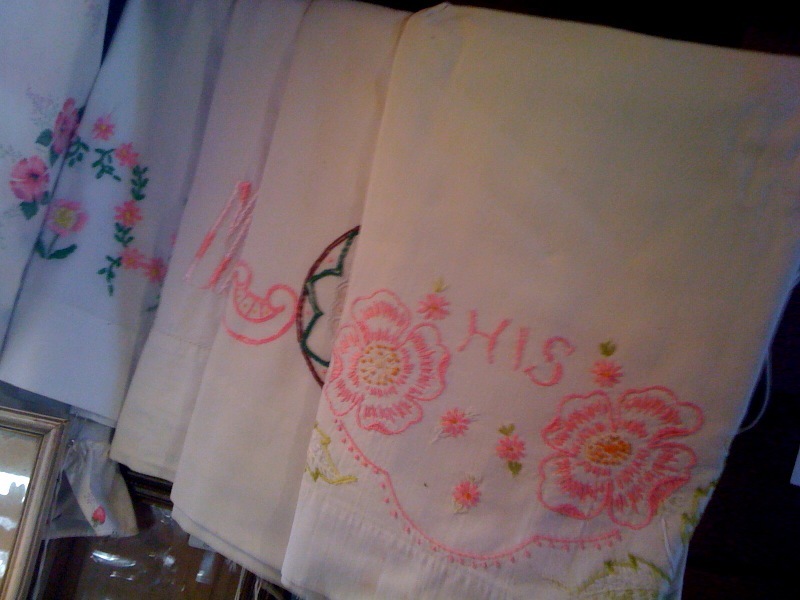 Her feminine touches are seen everywhere you turn. She's a gal after our own hearts. 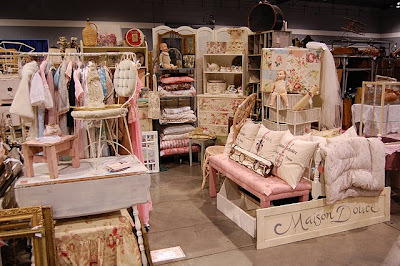 Here's a photo of Lisa's booth. She too has done The Farm Chicks, Clayson Farms and Barn House. With a resume like that you know she's good. Her space is just dreamy. Love the row of lamps below. 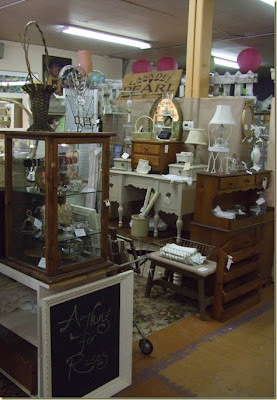 She collects lots of vintage BLING and incorporates it in many of her reclaimed pieces. A Thing For Roses and Maison Douce will have spaces at our "Junk Salvation" show in Hillsboro. Make sure you come early cuz all their good junk will go fast! We're bringin' it back and it's just around the corner! Ya'll better grab a cup of coffee, tea or our preference would be a MARTINI! Sit down, relax and enjoy the shoe, urr... a show. 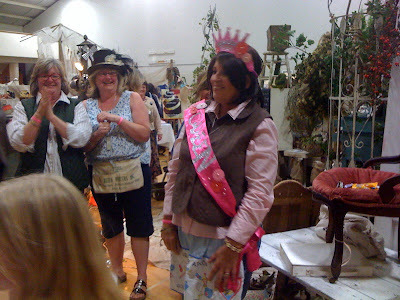 Our very sweet vendor, IZABELLA put together a slide show of a previous Junk Salvation Vintage Market. It takes awhile to go thru it, but by the time your done watchin' you'll be booking your plans to be at the next one February 5, 2011 in Hillsboro, Oregon. 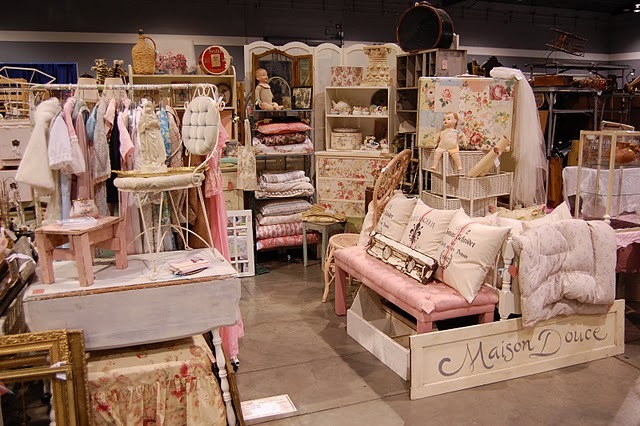 We are TOTALLY full for vendors at our February show, but you can still apply for our May 13 & 14th show in Puyallup, Washington. We love industrial antiques, they are so hard to find. 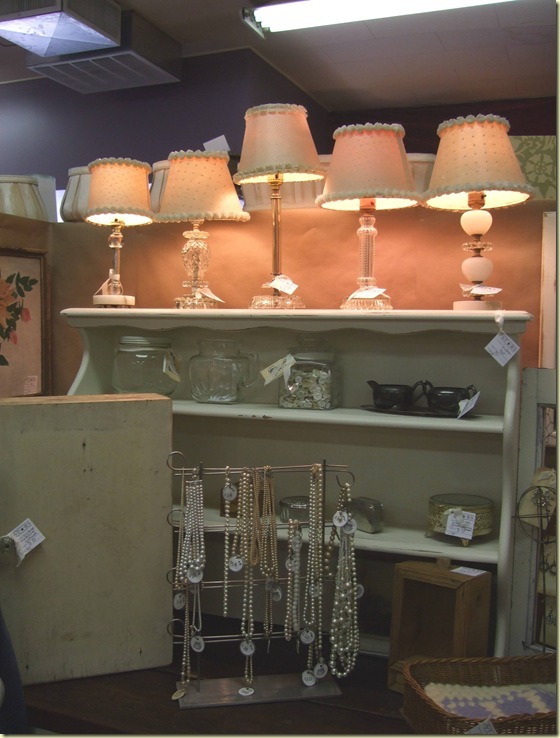 We are hoping the vendors at our Hillsboro show will have plenty to show off! Hint, hint, lol. Here's What You Have All Been Waiting For - The Vendor List For Our Hillsboro Show! Well we have filled the Washington County Fairgrounds to the brim! 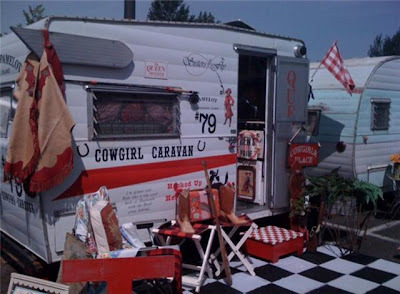 Our vendors have been busy gatherin and pickin all their favorite junk spots just for you and they have called us frantically wanting more room for their wares. Many junkers have taken more than one spot...they can be greedy that way! 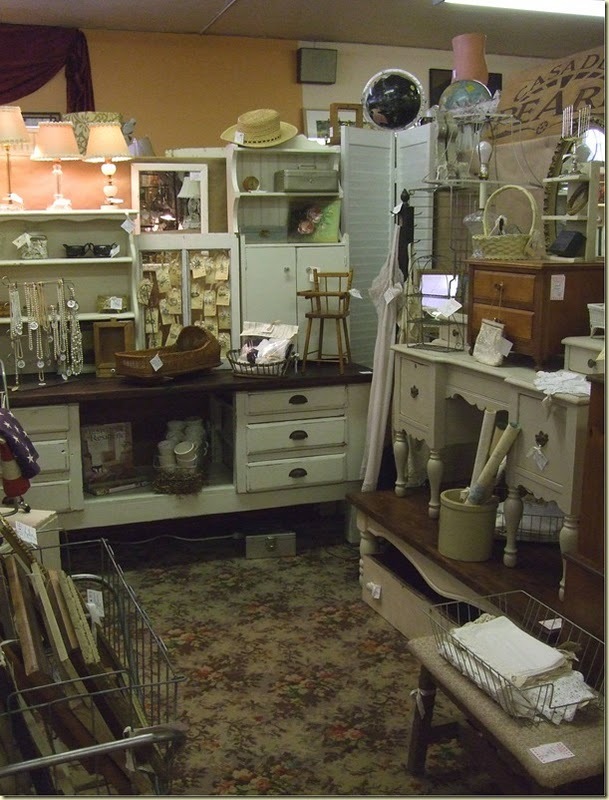 We have worked and reworked the floor plan many times to accommodate all this glorious stuff, and we are sorry to say we can't fit anymore in!!!! We hope ya'll have made your plans to attend the best "JuNK" show you've evah seen...cuz it's gonna be good...real good! Don't forget to pick up your $1 off coupons from your local vendor or print the one out on our right side bar...it'll save ya a buck. And you just never know what you'll find here for a buck! was really and truly ours. 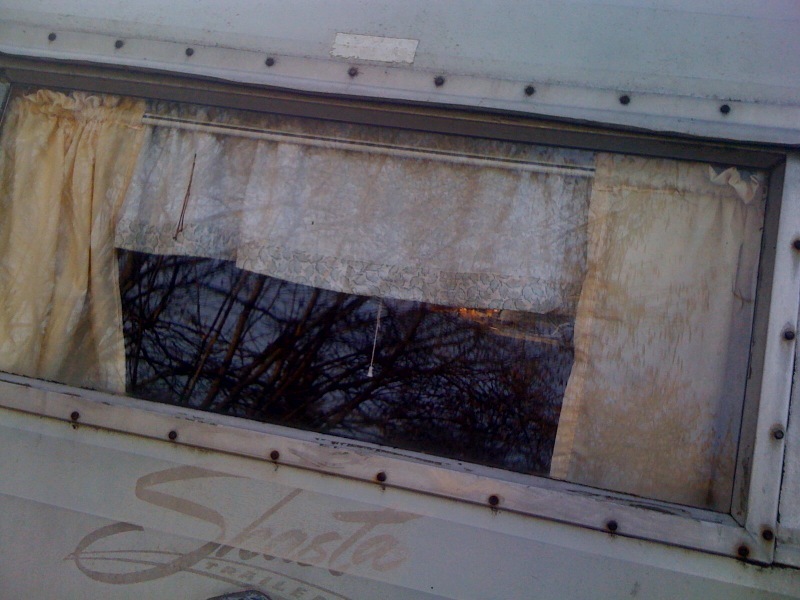 bottom, then lovingly tucked her away in the garage to await the next camping season. the best one being "Buttercup", named after her cheerful yellow and white exterior. some aesthetic and some practical, and we both feel very happy to have her in the family. Sweet, huh? You can see "Buttercup" in person at our "Junk Salvation" show in Hillsboro on Feb 5th and of course you will see "Berneice" (my 1969 Aloha, you know the one I tailgate to my sons games with) there too. 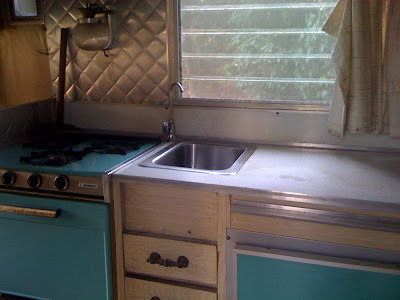 Many thanks to Jerry at Rolling Oldies Vintage Trailers for hookin us up with Bob and Cindi! Sweet vintage love to ya'll! Watch for this all over blogland! We are so excited about the vendor line up we have for our Portland show! What's fun about having shows in different areas is that your vendors are unique to each destination. You won't see the same thing in Oregon as you do in Washington! Be on the look out for our vendor button as you visit your favorite blogs and watch for $1 off admission coupons from each vendor too! It seems we were having an issue with Blogger and our vendor application. If you filled out an application and you haven't heard back from us...then you need to email us at funkyjunksisters@live.com or call us directly at 253-359-0102 because we probably did not receive your application.Don't worry it's not too late!!! !We will personally talk with you to get you a spot. Hopefully we have it fixed now...after you push send, if you do not get a thank you confirmation, then it didn't go through. Please call us to tell us if this has happened. We'll get you on board!! 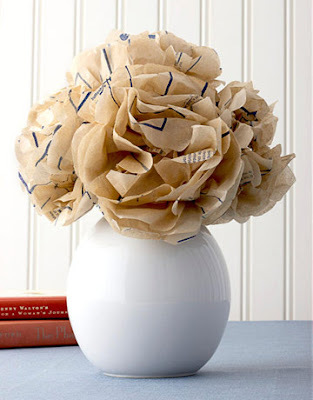 I am passionate about writing, vintage looking paper crafts, and creating a charmed life on a shoestring. 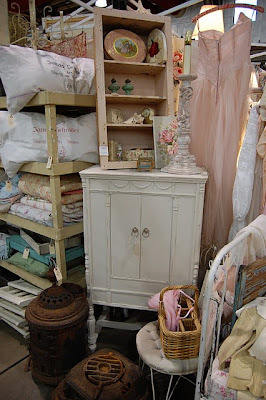 I love to take old furniture and reinvent it into something new and beautiful. I love new projects, and I am also a fanatical baker. I cherish my family and friends, and my big yellow dog. I am a sucker for romantic movies, and I am fool for love. She's just so darned cute and we can't wait to see what she has in store for us at "Junk Salvation" next month! Take a looksie at some of the cool stuff she has had in her booth at Camas Antiques. Now you can see why we can't wait, huh? Maybe she could come decorate our homes for us cuz we just want to crawl into her booth and live. This gals got scrumptious style! 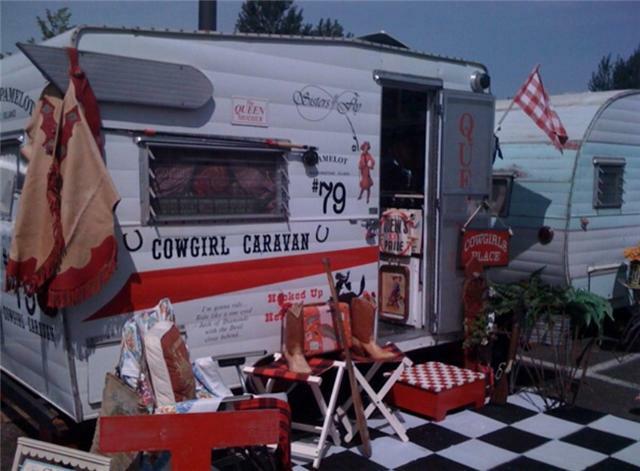 Came across these pictures today, they are of the super funky retro trailers we have had displayed at our various shows. 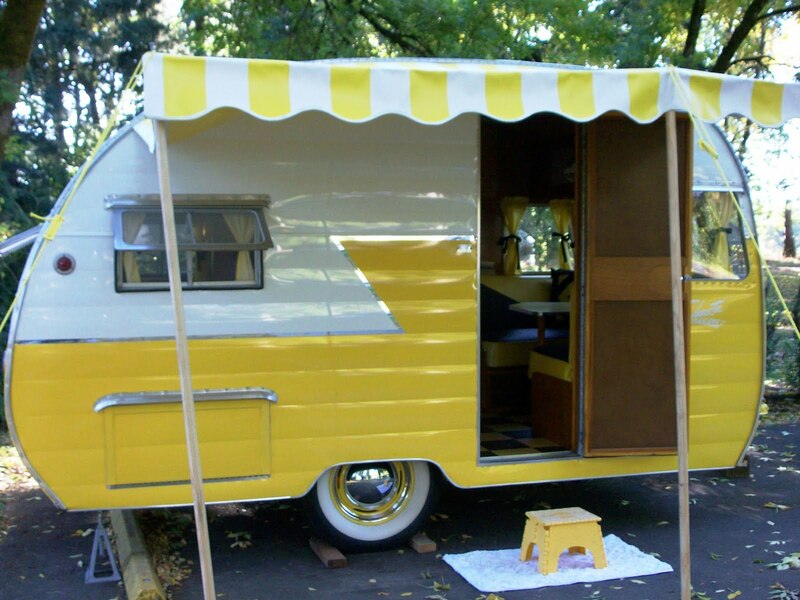 Makes us wanna go campin'....summer where are you? We're itchin to go travelin!!! 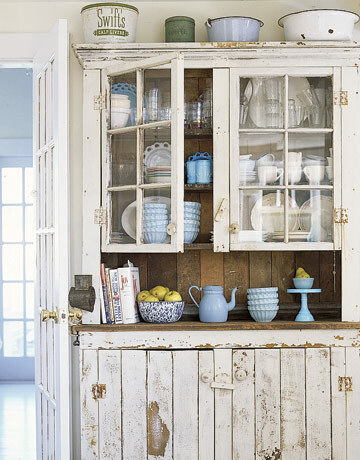 Don't dump that old dresser! 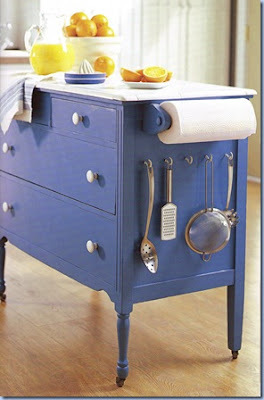 Look at what paint and a few inexpensive accessories can do for your kitchen. Simple and sweet!